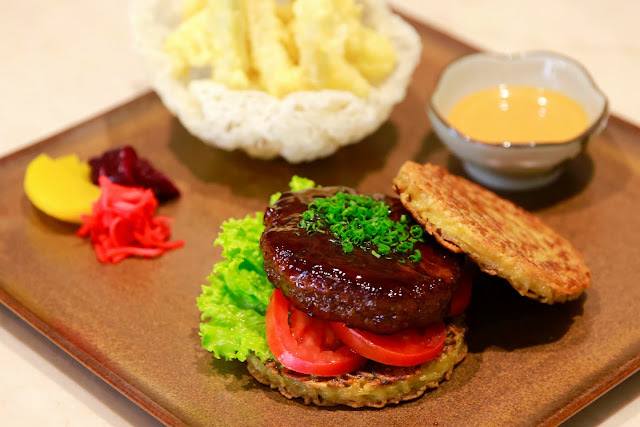 Experience a meal like no other with the unique creation of Mulia’s impeccable chefs, the Yaki Ramen Burger. A blend of top Wagyu and Black Angus beef glazed in teriyaki sauce on our signature ramen noodle “bun”, this burger is a pure gastronomic pleasure! Crazy about Cupcakes? 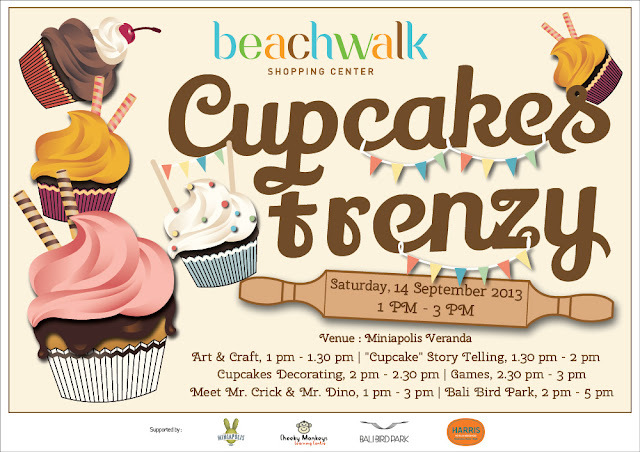 Come to Cupcake Frenzy in Miniapolis Veranda at Beachwalk Bali this weekend. Learn about cupcake art & craft, watch cupcake storytelling, decorating, including games. Salt tapas by Luke Mangan, is now poised to become the signature restaurant of Sentosa Seminyak. Salt tapas is a member of the Luke Mangan family of “Salt” branded restaurants eminent throughout Australia and Asia. One of Australia’s leading chefs and restaurateurs, Luke Mangan is highly regarded as a shining example of Australia’s culinary culture. Offering the highest standards of food, wine and service, Salt tapas brings a unique Australian twist to the modern tapas bar. Salt tapas will feature a wide selection of tapas and “simple food done well,” says Mangan. With customized recipes utilizing local produce, and adding the prominent Mangan touch, Salt tapas aims to present fresh menus every six months. To complement the down-to-earth brand of Salt, classic cocktails and beverages echoing the excessive ‘50’s, ‘60’s and ‘70’s, will create “pairings by design, for natural, sustainable flavours.” Placing emphasis on high quality for competitive prices, the beverages’ personalities will be reiterated at Club Sentosa and its programs and events, and continually featured at Salt tapas. The Grand Opening of Salt tapas is set to launch on September 21, 2013, with the restaurant opening its’ doors for an unofficial soft opening in early September ’13. The Grand Opening, in conjunction with the launch of Design-Dope, will showcase local fashion designer talents, as well as a festive event highlighting Salt tapas’ food and beverage. Set in the busy heart of Seminyak, and newly rebranded, Sentosa Seminyak is a luxury world-class 5-star villa resort built on 3.5 hectares of land comprising 43 luxury villas in three, four and five bedroom configurations. Each spacious villa has been designed with comfort, tranquility, and style in mind, and boasts a private pool set amidst tropical gardens. Fully equipped gourmet kitchens, en-suite bathrooms, air conditioning, ceiling fans, complete furniture and fittings, cable TVs, and surround-sound audio systems, are all included. Designed around a “Bali Village” concept, the resort has Wi-Fi connection throughout. In addition, the resort offers a world-class gymnasium overlooking the 35meter rock pool, for those who prefer to work out rather than chill out. Sentosa Seminyak’s luxurious day spa’s signature treatments, are available in both the spa, and in the privacy of the villas. For more information on Salt tapas, please visit www.salttapasbali.com, www.sentosaseminyak.com, or for high-resolution photographs, contact Sashi Rajan, Resort Manager Sentosa Seminyak, on sashi.rajan@sentosaseminyak.com, telephone +62-361-730333. Follow on twitter on @Salttapas or on @ClubSentosa.